ITS THAT TIME OF YEAR AGAIN! When all of Rahel’s students work their butts off to create an incredible show just for you! 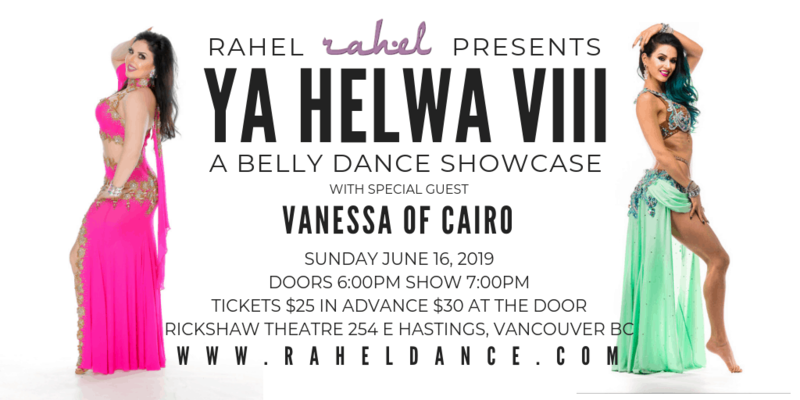 Performances by Rahel and special guest star VANESSA OF CAIRO! Plus other guests, and Rahel’s Beginner and Intermediate students, and the Helwa Dancers!Plus a licensed bar, vendors and prizes! $25 in Advance $30 at the DoorTickets available Now!